10"s SOLD OUT. Only Digital Downloads are available! 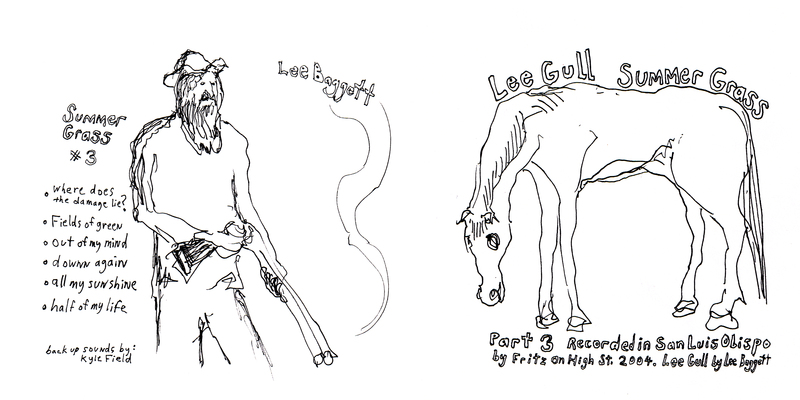 You may know Lee Baggett from Be Gulls or as half of the last several years touring incarnation of Little Wings. He also just released the amazing Burn'R on Marriage Records. 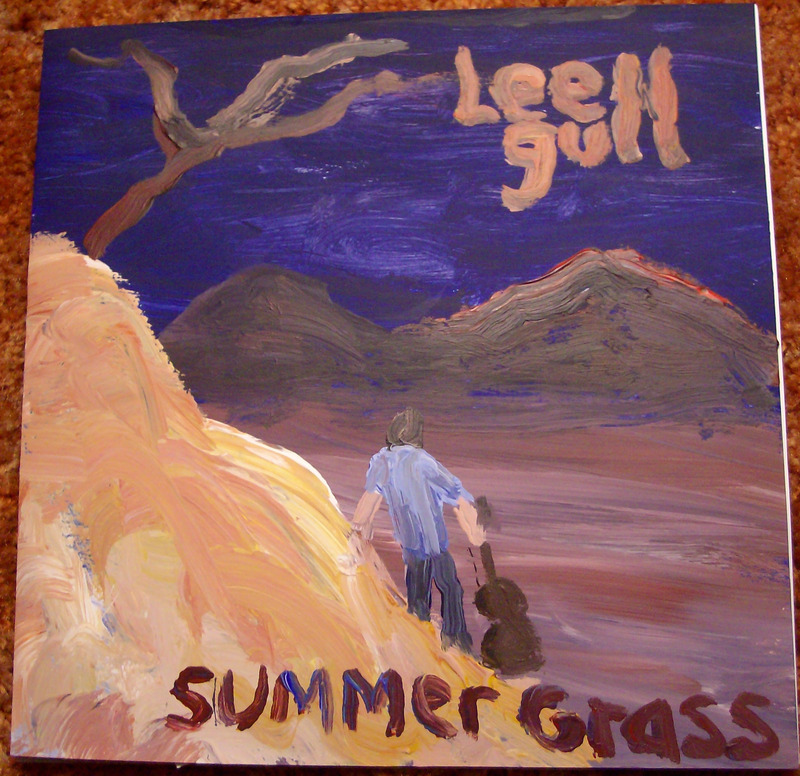 This 10" is the last installment of a trilogy of 10"s called Summer Grass Vol. 2 will be released in the spring, followed by Summer Grass Vol. 1 in the summer. 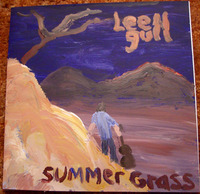 Each of these 10"s includes a 10"x20" oil painting by Lee himself. Also Comes with a cd-r version of the tracks that also has a bonus song "The World is Just a Peach" lathe cut into the bottom. The six 10" tracks play in your cd player, and the bonus track plays on your turntable! Limited Edition of 35. Ltd Ed of 35 polycarbonate lathe cuts in hand-painted oil painting covers.